If you are at the Winter NAMM show, make sure to visit Ansmann at Booth 1178, and check out their new Max E Pro Rechargeable Batteries. 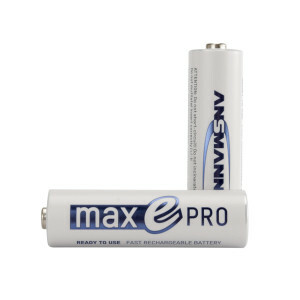 They are the perfect solution for wireless mic applications, IEM’s, and any other electronic devices where you would typically use an alkaline battery. (effects pedals, remotes, pre-amps, LED lighting etc) This is a low discharge, high recycle batteries with up to 2000 recycles. Run-time capabilities in various microphones tested (Shure, Sennheiser, Audio Technica) yields over 8 hours of continuous use. Also, the battery is a slimline battery with no “fit” issues – available for use in all wireless mic and IEM brands.